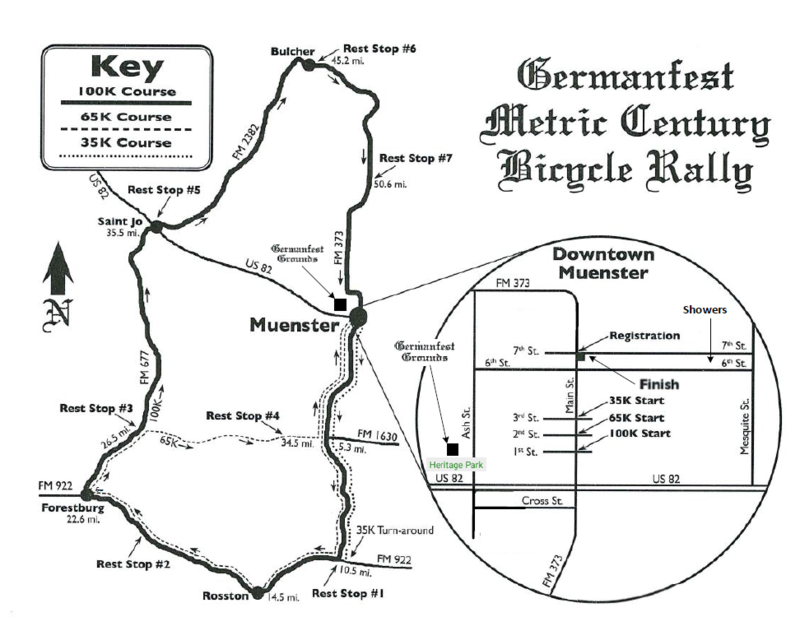 The 100 kilometer (63 mi. ); 65 Kilometer (40 mi. ); and 35 Kilometer (22 mi.) 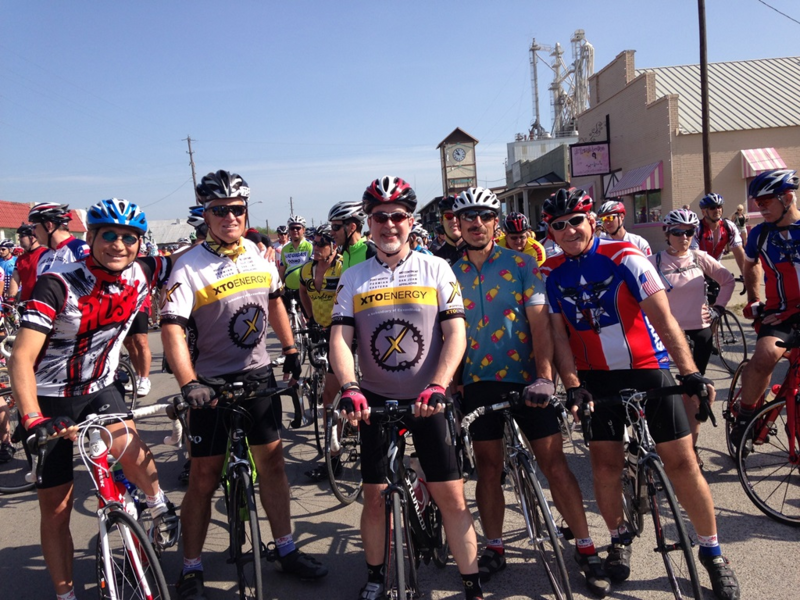 course is pedaled over paved roads in this beautiful and scenic North Texas area. It is a fast and challenging course. Be prepared for some long and steep climbs up rolling hills and the exhilaration you'll experience coming down! 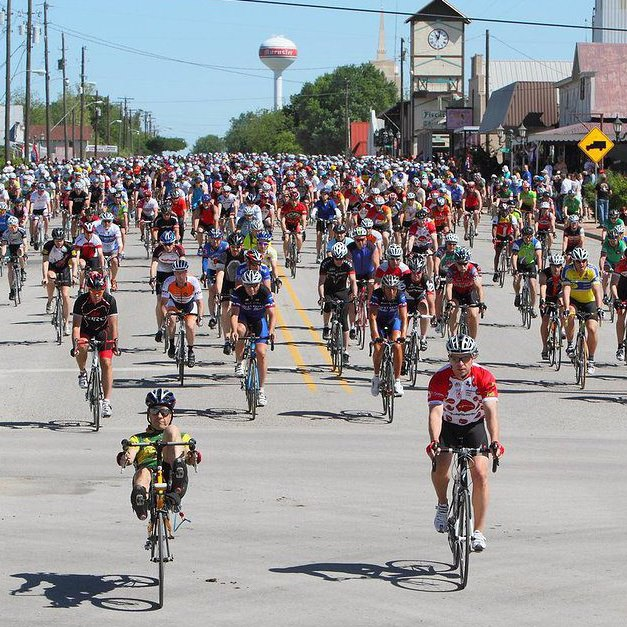 ENTRY FEES: All entries postmarked by April 21, 2019, will be $35 per rider. 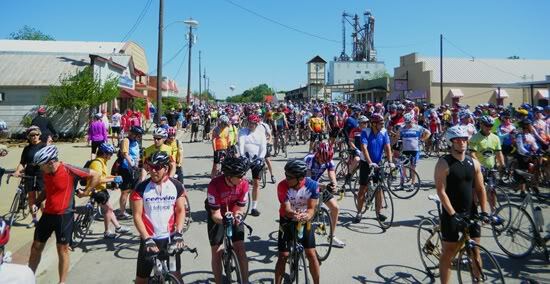 All entries postmarked after April 21, 2019 and those who register the day of the ride will be $40 per rider. Registration is at the Sacred Heart Community Center, located on Main Street, 6 blocks north of Hwy. 82. Packets and T-Shirts can be picked up at the Community Center between 7:30 am and 9:30 am the day of the ride. T-shirts will be presented to the first 1500 registered entries. Registration Fee is Non-Refundable. PRE-REGISTRATION AND PACKET PICK-UP: From Thurs. April 18th thru Thurs. April 25th at Richardson Bike Mart, in Richardson, SE corner of Coit & Campbell Rds. Packets and T-Shirts can be picked up at the Community Center between 7:30 am and 9:30 am the day of the ride. T-shirts will be presented to the first 1500 registered entries. 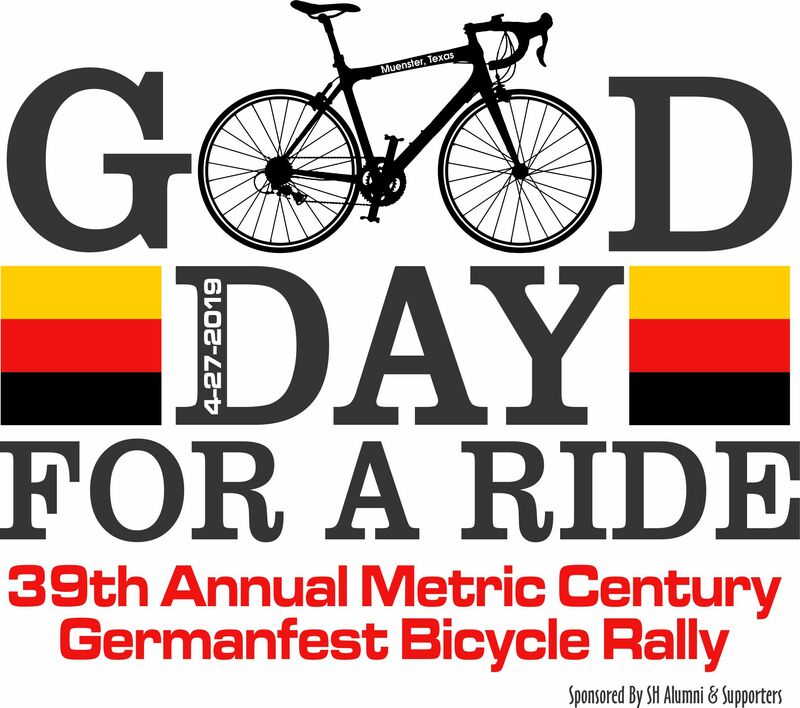 Each rider will receive 1 FREE pass to the Germanfest grounds the day of the rally and 2 FREE tickets for beer or sodas. RULES: By law, and for your safety and protection, you MUST abide by all traffic laws throughout the ride. For your safety, helmets are expected to be worn. All riders under 18 must be accompanied by an adult. 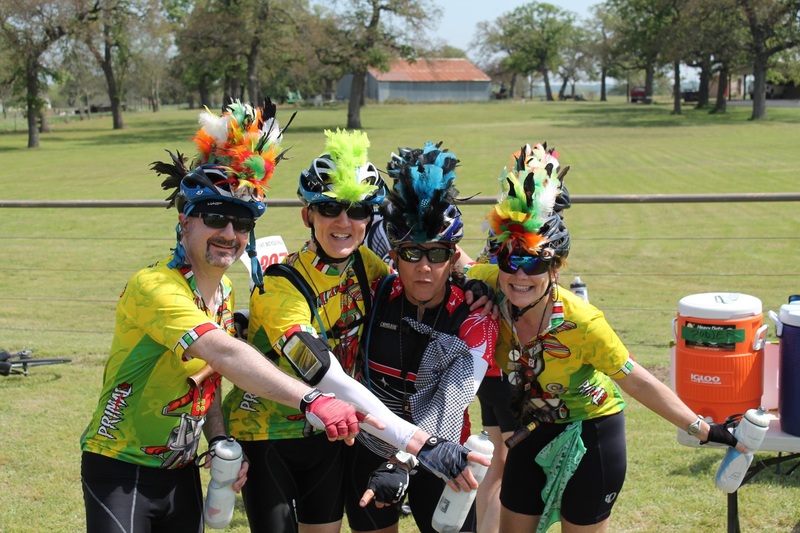 REST STOPS/SAG WAGONS: Rest stops will be placed approximately 10-15 miles apart. Water, fruit and other liquids will be available. Medical aid will be provided along the route and at the finish. In addition, the route passes through areas where food and drink may be purchased. If at any point, our medical personnel determines that you should not continue, you will be detained and/or returned to the start by a sag wagon. MEDICAL FACILITIES: The Muenster Memorial Hospital and local doctors and nurses will be available to assist with any complications. Emergency ambulance service and qualified paramedics will also be available. WEATHER: Late April weather in North Central Texas is variable. Usually the temperature will average 72 degrees at mid-afternoon. Wind usally plays a role during this annual event. Riders are cautioned to "plan your ride" considering temperature, humidity, & wind and then be careful to "ride your plan". RAIN OR SHINE: There will be a ride and there will be no refunds. Rally begins at 10 AM! 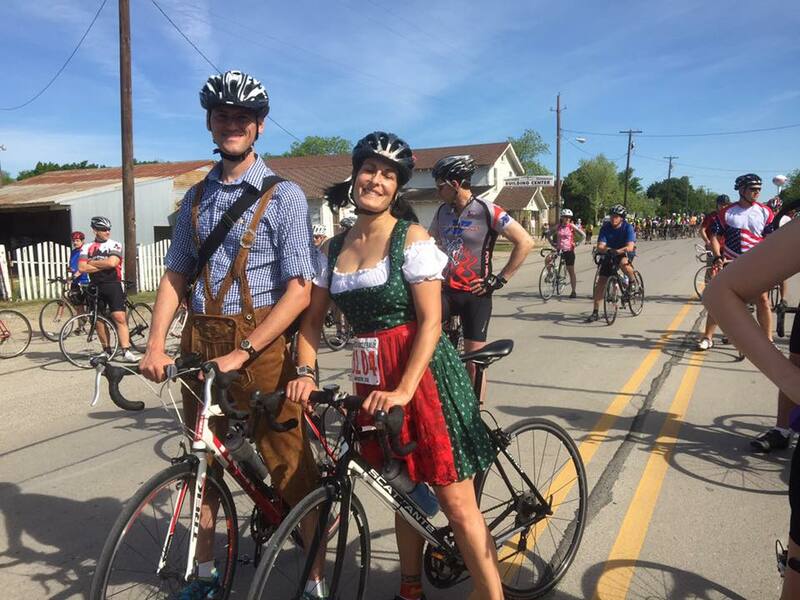 The Germanfest Bicycle Rally staff will not be responsible for mailing Rally T-shirts to bikers who fail to ride. This year the European Tour is changing its registration process. 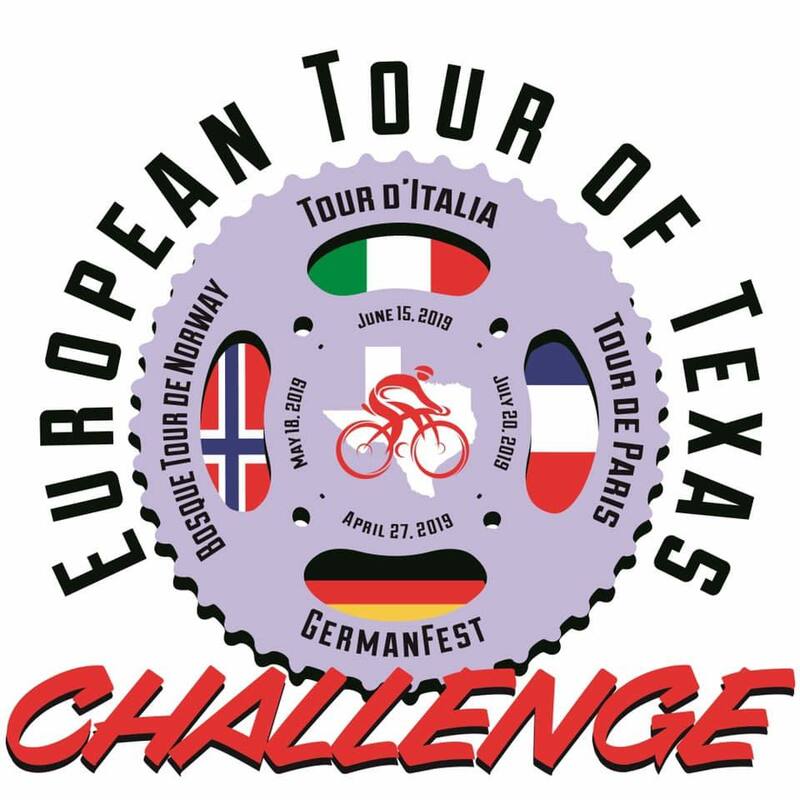 To ride the European Tour of Texas Challenge, there is no longer a single registration for all 4 rides plus the cost of the jersey. The challenge remains the same, check-in and ride all 4 rides, or at least 3 of the 4 rides to qualify for the jersey. Register for each ride individually. 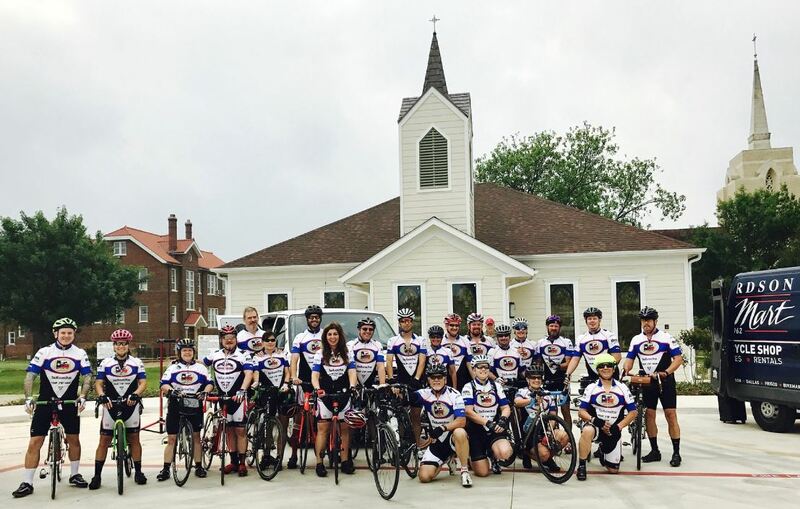 The Check-in/Registration lists from each ride will be compared to determine those qualifying for a 2019 European Tour jersey (design to be determined) The jersey will be available for purchase, after the Tour de Paris for $60 thru an on-line store and will be mailed to each rider.